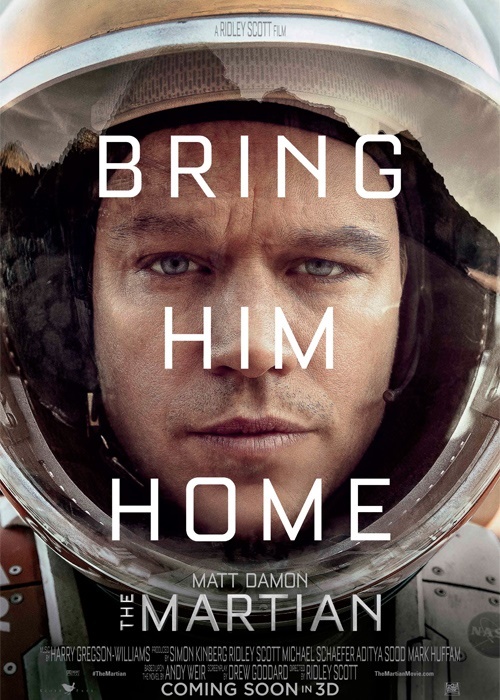 Win tickets to watch The Martian with us! Cape Town - Channel24 Movies fans stand the chance of winning tickets to go watch the gripping new flick, The Martian first! When astronauts blast off from the planet Mars, they leave behind Mark Watney (Matt Damon), presumed dead after a fierce storm. With only a meager amount of supplies, the stranded visitor must utilise his wits and spirit to find a way to survive on the hostile planet. Meanwhile, back on Earth, members of NASA and a team of international scientists work tirelessly to bring him home, while his crew mates hatch their own plan for a daring rescue mission. There will be two screenings. One in Cape Town and one in Jozi. Seats are limited. The first 60 people from Jozi and the 60 from Cape Town to enter will each win 2 tickets. The screening will take place at NU METRO V&A Waterfront on 30 September at 20:00. The screening will take place at NU METRO Hyde Park on 30 September at 20:00. Seats are limited. Entries close 30 September at 09:00. The winners will receive an SMS that confirms you’ve won. Show the SMS at the door of the cinema to gain access.The Martian will be released in cinemas in South Africa on 2 October.